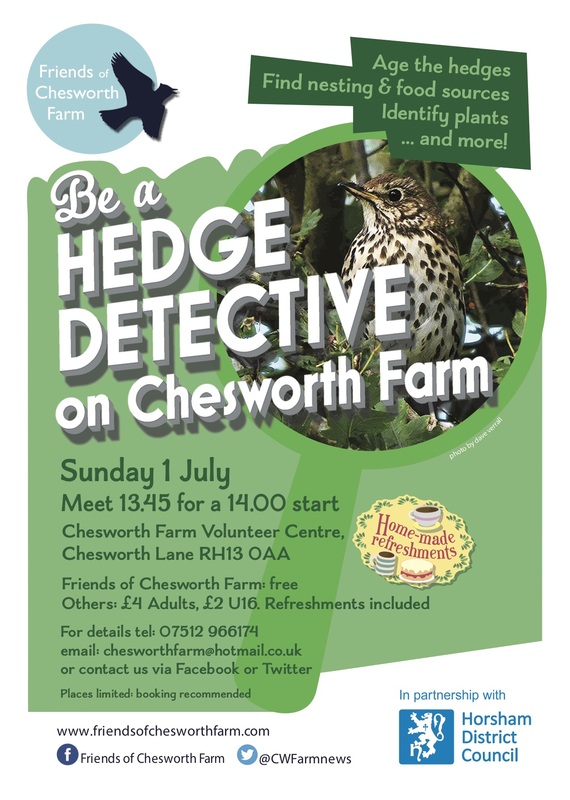 Whatever your age, come and be a hedge detective on Chesworth Farm for the afternoon. We’ll be measuring and aging some of the farm’s hedgerows and finding out what grows in them plus the variety of animals that visit or live in them. For your protection, wear long sleeves and trousers and at least trainers, not sandals, please. We’d prefer it if you would book as places are limited. Some car parking can be arranged if you mention this when you book. For bookings and any other questions, please contact us, email chesworthfarm@hotmail.co.uk or tel 07512 966174. Please put me down for the walk. Great, we will do that Pauline.